I probably shouldn’t try new skin care products, my skin tends to react to things and when I get a proper routine I should probably stick to it, but I’m always tempted by new cleansers when I see them. 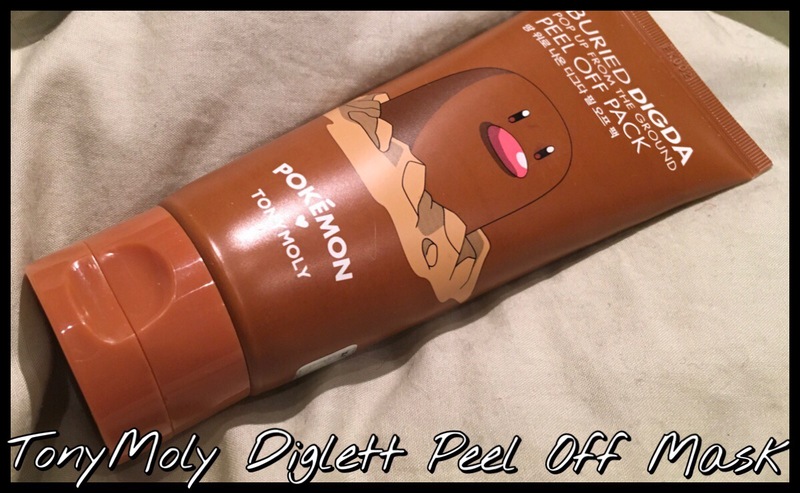 In a recent Korean Beauty haul I found one of the Pokémon and TonyMoly collaboration foaming cleansers. There’s a range of four different types for different skin concerns and each has a different Pokémon on the front. This is the Isanghessi (Bulbasaur) version (£4.94) which contains egg white and Portulaca oleracea extract. I used google to see what this actually is and apparently it’s a plant that’s used in traditional Chinese medicine for a lot of things but it’s supposed to sooth skin and help with irritation so it’s a calming ingredient. I’ve been using it for over a month now so I think I’ve seen what it does so time for a proper review of this as it’s definitely one of the cutest cleansers I’ve ever owned. I recently made another order from the F2plus1 eBay store for Korean beauty products, I think it seems to be this time of year that I make these orders. A couple of these products were ones I’ve had my eye on for a while and I may have bought some more sheet masks. I already have enough to last months but these ingredients sounded unusual and I do love anything lychee or mangosteen so they ended up in my basket. I’m always a bit wary about ordering from eBay, especially when it comes to cosmetics as there are so many fakes out there and I think a fake plastic figure is one thing but something you put on your skin is another. But I trust the f2plus1 store as I’ve bought from them before. They also have an online store away from eBay, BeautynetKorea, which I haven’t used but think it’d be as trustworthy. It does take a while to get here, two or three weeks in general, but considering it’s all the way from South Korea that’s pretty quick. Another product from the TonyMoly Pokemon range today, I was going to spread them out a bit but then I realised they’re limited edition so best to post as soon as possible so there’s more of a chance of them still being available. 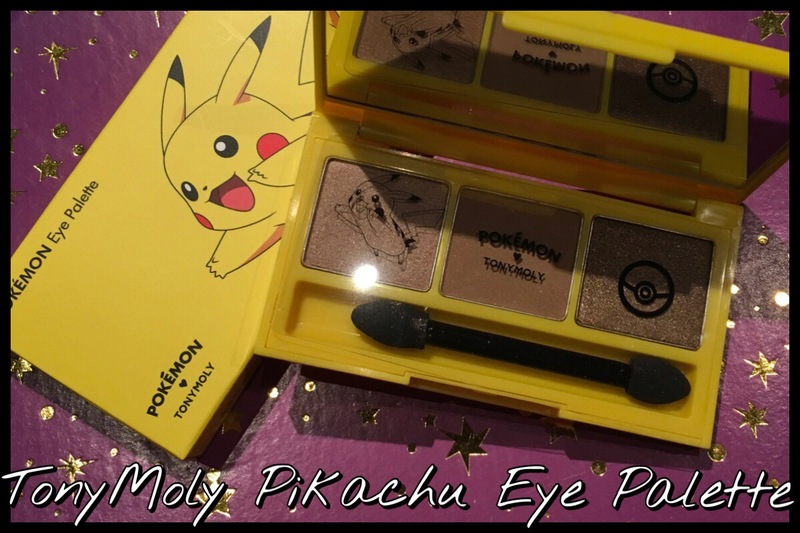 There are two eyeshadow palettes in the range; Pikachu (neutral browns) and Jigglypuff (more pink toned) and each has three colours in it. I only have the Pikachu one but I think the Jigglypuff also uses the same combination of a dark and light shimmer alongside a ‘matte’. I bought this from the f2plus1 eBay store but there are quite a few people still stocking it at the moment. Price wise it seems to range between £12 and £15 so it depends where you get it from. I’ve tended to stick with the one as they’re always quick and they pretty much always have everything I want so saves multiple orders. I do love a good peeling face mask and the fact that the TonyMoly Pokemon line has one makes it even better. It’s the Buried Digda Pop Up From the Ground Peel Off Pack, which may be one of the longest names for a face mask that I’ve ever had. I love how peel off face masks are so much easier to remove and there’s a lot less mess than traditional face masks, you sit there for ten or fifteen minutes and peel it off. Plus there’s something oddly satisfying about that peeling feeling, like when you get glue on your hands at school. Or is it just me that likes that? I don’t know if there’s a permanent line version of this as I think the Pokemon line is limited edition so it’s one to find soon if you want to give it a go. Luckily it does have a 12 month life once opened and it’s sealed so I think it’d be ok to stock up on. I found this one on the f2plus1 eBay store but it seems to be available from quite a few places so it depends on which you pick to buy it from. Most of them seem to have it from £7 to £10 for the tube, which holds quite a few uses as you do only need a very thin layer so you probably pay £1-£2 per application I think. 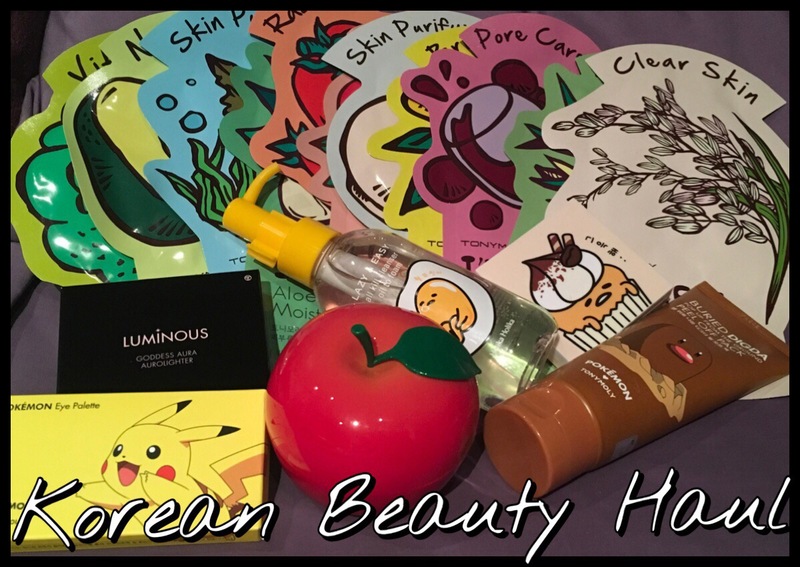 Since getting a Meme box a couple of years ago I have loved all of the Korean beauty products I’ve tried. I also recently also found the TonyMoly Pokemon range and the Holika Holika Gudetama range and may have had a wish list that was way more than I could actually buy so quite a bit of this order is from those two collections. I do love sheet masks and have been wanting to try more Korean ones, knowing how well a lot of the skincare seems to get on with my skin, so I bought a selection pack along with a moisturiser I know works. I’ve made a few orders from the f2plus1 eBay store, the eBay store for Beauty Net Korea, so I trust them. Add in the cheaper prices than getting these things anywhere in the UK and the free postage I definitely recommend them if you’re in the UK. They did have a sale on where everything had money off, at the time I think almost everything was around 14% which seems an odd number but getting a bargain is always good.